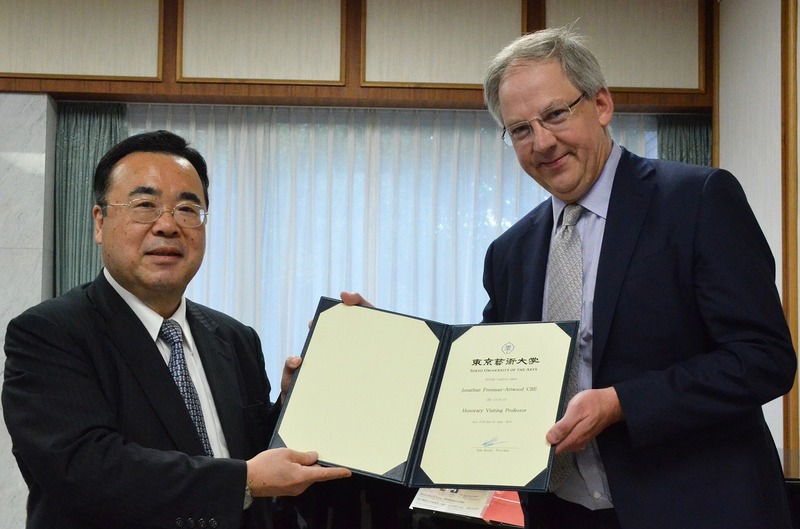 On June 27, Tokyo University of the Arts (Tokyo Geidai) granted the title of Visiting Professor Emeritus to Professor Jonathan Freeman-Attwood, Principal of the Royal Academy of Music. 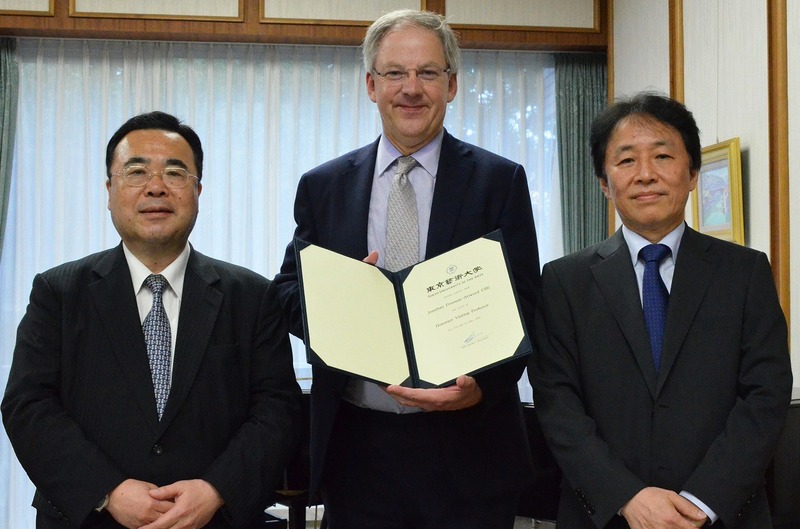 Tokyo Geidai and the Royal Academy of Music have been partnered for 20 years since 1998. Since forming an exchange agreement in 2015 to expand the joint projects, the interaction between us has become even more active. 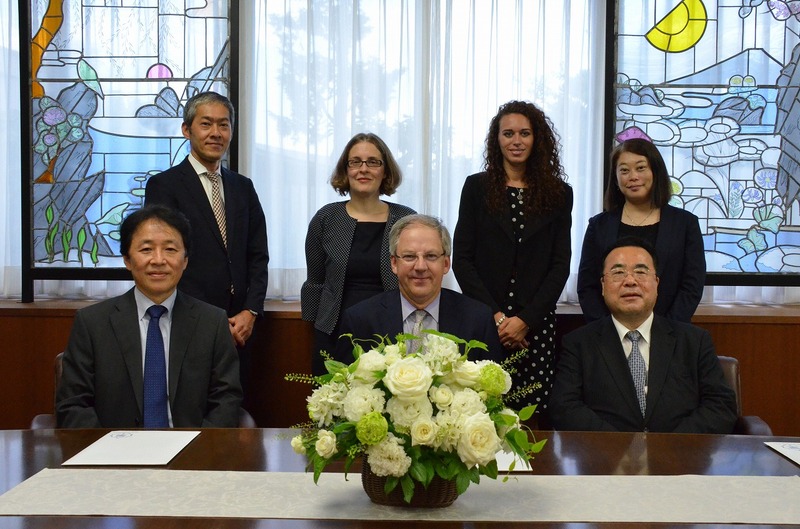 For example, we conduct educational research activities through welcoming 2-3 distinguished professors every year from the Academy, send our faculty members of the traditional Japanese music department to the U.K., and host faculty members and students of the composition department at the Academy. Furthermore, a recital was held at the Academy by the Music High School attached to the Faculty of Music (Geiko) in 2017 as well as the joint recitals of the student orchestra in 2018. With his great contributions to these achievements, it was decided that Principal Attwood would be granted the title of Visiting Professor Emeritus. The award ceremony was attended by Principal Attwood, Ms. Nicola Mutton (Director of Artistic Planning), Ms. Francesca Johnson (Concert & Orchestra Manager) from the Academy and President Kazuki Sawa, Dean of the Faculty of Music Akiyoshi Sako, Project Associate Professors Masahiro Hori and Yoko Yokota from Tokyo Geidai, with the certificate awarded to Principal Attwood by President Sawa. In the informal chat following the award ceremony, they exchanged information on their schools’ current situations as well as plans for future collaborations in a relaxed environment. 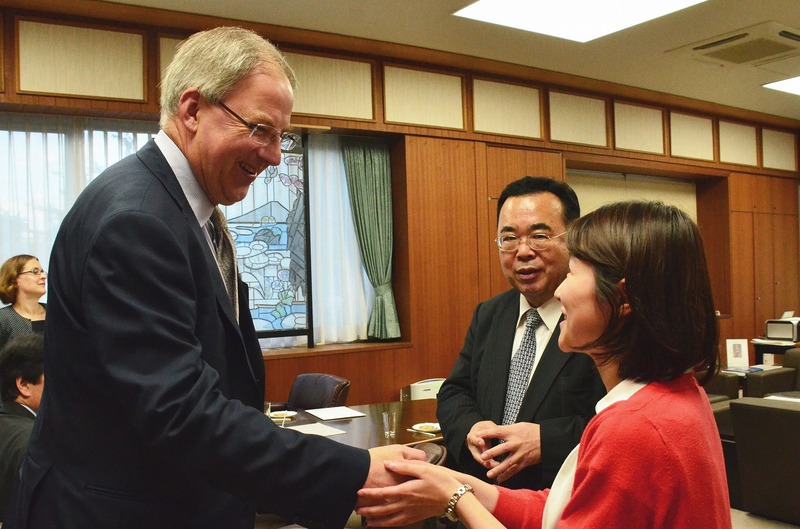 After the chat, Ms. Shiori Imazeki, a first year doctoral student majoring in musicology at the Graduate School of Music who is planning to go to the Academy this year, was introduced by President Sawa to Principal Attwood. 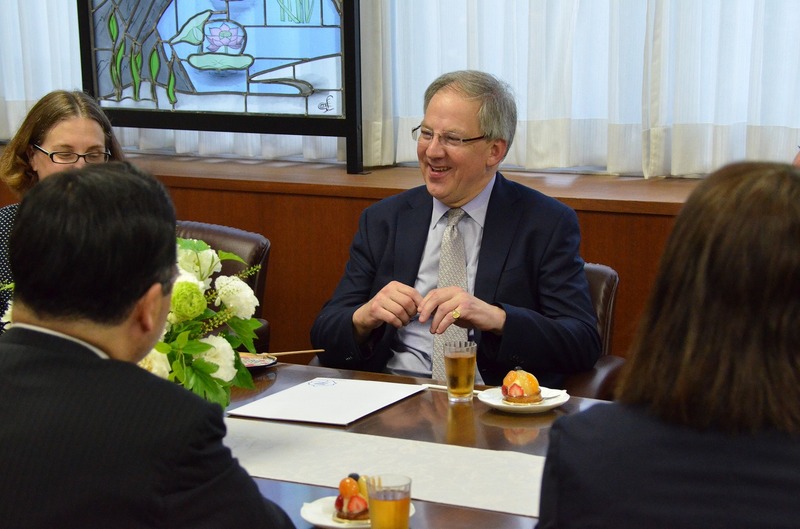 When Ms. Imazeki asked Principal Attwood about well-known British musicologists, he provided detailed explanations about several representative musicologists and deepened ties with our student. The party, having confirmed that the collaborative relationship between the two schools would be strengthened even more through the granting of the title of Visiting Professor Emeritus, headed out to the “Royal Academy of Music and Tokyo University of the Arts Joint Recital” held at our school’s Sogakudo Concert Hall on the same day.